For the past 800 years, farmers in Gouda, Netherlands, were making a yellow creamy cheese, from cow's milk, that is prized for its distinct flavour. For years scientists have been trying to pinpoint the molecules that give Gouda cheese its long lasting kokumi sensation--a term used to describe its rich, thick taste. Now German scientists have identified the key substance as peptides--protein subunits --that give the cheese its flavour. The taste develops during the ageing or ripening stage. The study was released in the January 26 issue of the Journal of Agricultural and Food Chemistry. Galaxies are known to emerge from a mysterious substance called dark matter.Astronomers now say galaxies can emerge out of pure gas. 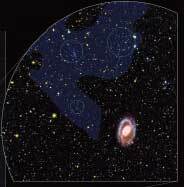 The new galaxies that have been detected are dwarf galaxies that often orbit larger ones. The scientists found evidence of recent formation of massive stars in the Leo ring which is a cloud of oxygen and helium around two big galaxies in the constellation of Leo. There are 40 such dwarf galaxies in our universe comprising the Milky Way, the Andromeda galaxy and the Triangulum galaxy. This discovery opens the door to studying the star formation process in gas, said scientists in the study published in the February 19 issue of Nature. A pathogen that stunts and disfigures potatoes and tomatoes, could shed light on the evolution of life on earth. It is a hundred times smaller than a virus and is called a viroid. The viroid has its genome content in a single strand of rna without the protective protein cover which viruses have. Scientists infected plants with a viroid in the laboratory and found that it had high rates of mutation due to errors during rna replication. They are unlike multi-cellular organisms like humans that can lower mutation rates and correct errors while the dna replicates. The study published in the March 6 issue of Science suggests that such replication errors could be the reason behind the diversity of organisms on earth because higher is the rate of mutation, more does a species evolve. Scientists in the UK have developed a new test that can identify growth enhancing steroids in cattle with higher accuracy. The test is convenient and costs less than what standard tests cost. 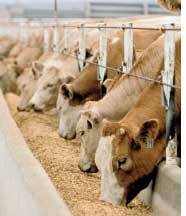 Steroid tests so far directly measured these substances in cattle. The new test measures steroids indirectly by marking chemical changes associated with growth and muscle development. Researchers used a commercial blood analyser found in hospitals. They measured 20 chemical markers, including protein and cholesterol levels in the blood of cattle treated with steroids and compared them with those of untreated cattle over a 42-day study period. The new test detected the presence of steroids with accuracy between 91 per cent and 96 per cent. The innovation now makes it possible to carry out on-site steroid testing of cattle with a portable instrument. The researchers hope this study, published in the January 7 issue of the journal of the American Chemical Society, will help curb illegal use of steroids in the beef industry. It is not just explosives and weapons that airline companies have to watch out for while transporting passengers and cargo aboard their air carriers. They also need to prevent invasive insects and plants, that passengers carry with them. The warning comes from Florida, US, where scientists studied global climate models and more than 35 million scheduled flights on 44,000 routes to predict shuffling of invasive plants, insects and animal species. The peak risk will be in June 2010, when climate factors at the flight origin and destinations will be similar, said researchers. When factors such as temperature, humidity and rainfall match at the departure and destination points, the plants and pathogens that get transported, adapt easily to their new habitat and start multiplying. They then endanger the people and ecology there. The findings were released in the January 22 issue of the Ecography. 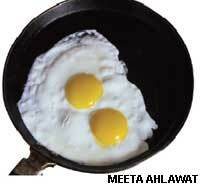 Eggs may reduce high blood pressure--a major risk factor in heart diseases. Scientists found that when egg proteins come in contact with stomach enzymes they produce chemicals that work in a manner similar to prescription drugs that are used to reduce high blood pressure. The study was published in the January 5 issue of the Journal of Agricultural and Food Chemistry. The researchers studied the human digestive process by simulating it in the lab. Further studies are required.